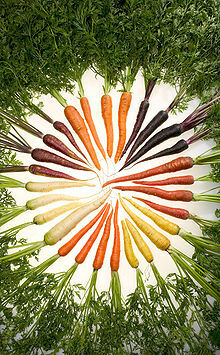 Posted by nrhatch in Food & Drink, Vegetarian Recipes. Hearty, delicious, nutritious, and budget friendly! Cook celery, carrot, and onion in oil. Add remaining ingredients. Simmer, covered, 45-60 minutes. Simmer uncovered for 45-60 minutes until thick. If desired, add 10 oz. pkg. frozen chopped spinach or 1 cup chopped cabbage during last 15 minutes of cooking time. Purée with submersible blender to desired consistency. As indicated in the photo, split pea soup need not be puréed until smooth. Delicious served with seasoned croutons on top. Yum, Nancy. The dish of the French Canadians…polish up your French. If any are holidaying in Florida, they’ll smell it! When I checked Wikipedia, it turns out that Pea Soup is a rather universal favorite . . . it’s even sold in TUBES in Sweden. Since I have been trying your recipes Nancy I have never had so many vegetables in my frig or so many new items in my cupboard! Yay! That comment put a smile on my face. Oh I love experimenting with anything new!! Keeps one young! It’s great to keep our hearts, minds, and MOUTHS open to new thoughts and tastes. MAY I ADD JUST ONE CAVEAT ON THE SPLIT PEAS? BE SURE TO WASH THEM THOROUGHLY OR SOAK THEM PRIOR TO COOKING..I DIDN’T WASH THEM WELL ENOUGH ONE TIME AND NOW NO ONE WILL EAT MY SPLIT PEA SOUP!! I left that out because it’s usually included on the bag of split peas . . . but washing the peas and checking for foreign matter is definitely a good idea. Usually, it’s just pebbles . . . but they tend to be difficult to digest. Best to kick them out of the pot before simmering the soup.